I've been reading a few 'Guides To...' over the past couple of days including one calledThe Musicians Guide to Google + on musicthinktank.com. I signed up to Google + a while ago and in all honesty hadn't really found much of a use for it until a few days ago when I googled my own name. Now usually I'm googling myself to make sure no-one is doing anything untoward with my identity and I also like to check up on what my namesakes are doing in the world (any one else do this?). On this occasion my Google + profile popped up as the #1 result ahead of the Brighton based dog photographer, the nurse, the doctor, the ceramist, my Linkedin profile and a photo I took of some heather in North Wales that made it to the BBC News website 5 years ago. Google +, for the moment, seems to push you to the top of the results list which is great if that is where you want to be. 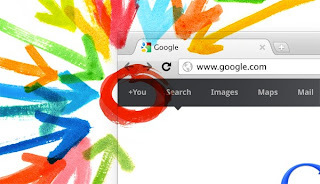 The Musicians Guide to Google + highlights this point along with a few other useful ideas such as the 'Band Pages' functionality and suggestions on how to use 'Circles'. The long and short of it is, if you're a musician/band you will always need publicity. I recommend you read this article, get yourself an account and set up a band page even if that's all you do with it.